From 1990 to 2000, Scott apprenticed with Dale Chihuly, Martin Blank, Jim Mongrain, Jim Nowak, Cliff Goodman and Randy Strong, and worked with Therman Statum, Leon Applebaum and Flo Perkins as well as countless other artists working in glass. He was a gaffer (lead glassblower) at The Glasshouse Studio, Seattle’s oldest studio glassblowing operation, leading the glasshouse team. He has been on both the instructional and administrative staff of the Pilchuck School in Washington, and taken classes at the Haystack School in Manie. He has travelled twice to Venice to study design and technique. Scott has a bachelor’s degree in art and a master’s degree in business. After completing his Masters education in 2002, he set about building his studio in rural Northern California. Starting with designs he created in Seattle, he marketed his work regionally in 2004 and nationally in 2005. In 2006 he exhibited his fused murrini work at the Oakland Museum of California and produced his first solo gallery show at the Altered Space Gallery in Venice, Ca. 2007 brought continued recognition as a featured artist with the Los Angeles County Museum’s office of special projects and a City of Santa Clara Cultural Advisory Commission merit award recipient. In 2008 Scott expanded commercial pursuits with Hobbyglass.com, an online subsidiary of Hegan Glassworks, Inc., that designs, produces and markets a unique line of color, cane, murrini and tools for career and hobby glassmakers. 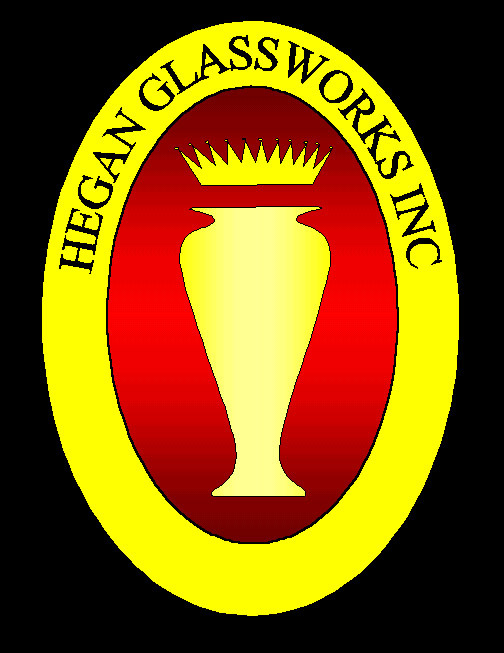 In 2009, Hegan Glassworks, Inc. added a bronze foundry and machine shop to the studios. The foundry produces sought after molds used in the production of Venetian style blown work. 2010 witnessed the construction of a new building for the operation adding much needed square footage to the studio. The additional space will be dedicated to creative work in wood, wax and plaster. Scott’s artwork is exhibited internationally. He owns and operates a private studio that produces contemporary sculptural glass objects, large-scale architectural casting, and individual commissions.